This unusual arthropod is known as Panlongia tetranudosa. 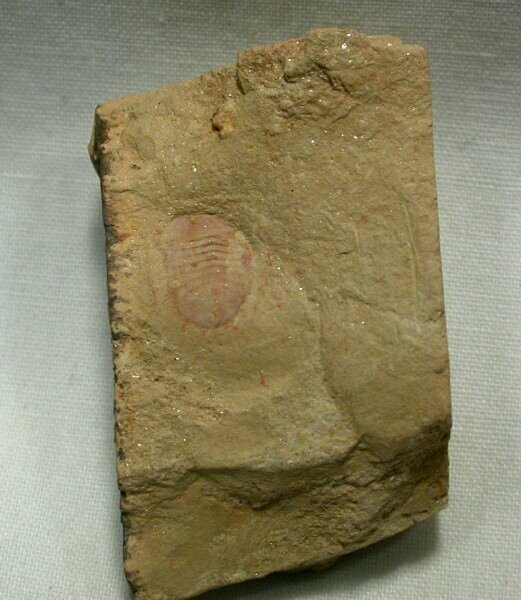 The genus was described in mid- 2006, and comes from what has been termed the “Guanshan Fauna”, found in the Wulongqing Formation. The Guanshan Fauna shares many genera with the slightly older Chengjiang Biota, but differs at the species level. With the discovery of the Chengjiang Biota in 1984 a window on the Cambrain Explosion in China was opened. 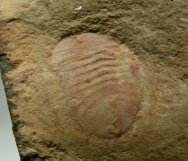 The diversity of soft-tissue fossils is astonishing: algae, medusiforms, sponges, priapulids, annelid like worms, echinoderms, arthropods (including trilobites), hemichordates, chordates, and the first agnathan fish make up just a small fraction of the total. Numerous problematic forms areknown as well, some of which may have represented failed attempts at diversity that did not persist to the present day. 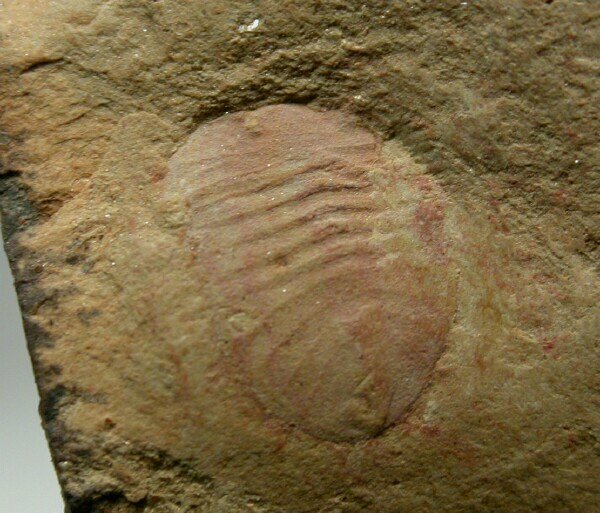 The taxon some resemblance to the younger Burgess Shale genus Hemetia, which has led some to place them in the Helmetidae along with several other similar arthropods, such as Kuamaia and Rhombicalvaria. 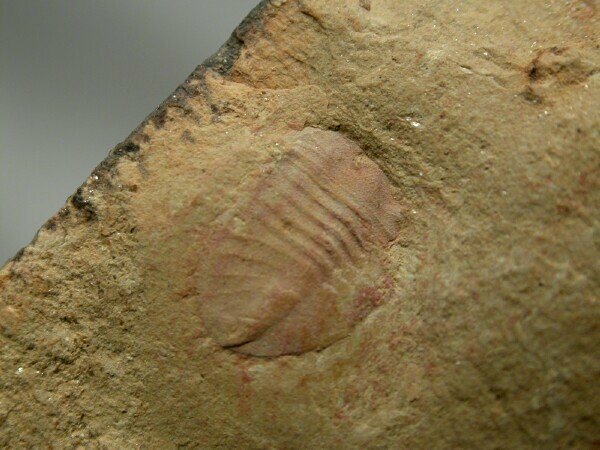 The body shape suggests that these helmetids were benthic animals which were possibly carnivorous. There are two species described to date: Panlongia tertranodusa and Panlongia spinosa. The fauna has only been studied for some 6 years, so more unusual taxa are almost certainly awaiting discovery.